The Indian King Tavern — the site where New Jersey’s General Assembly ratified the Declaration of Independence in 1777 — is planning to tap some Colonial-style brews as part of a fundraiser to benefit the museum at 233 Kings Highway in Haddonfield. The tavern hasn’t served alcohol since Haddonfield went dry 139 years ago in 1873. There will be three seatings at the tavern this Saturday, May 5: Noon to 2:30 p.m.; 3 to 5:30 p.m. and 6 to 8:30 p.m. Tickets for each session are $40. Attendees must be 21 or older. The Colonial-style ales will be provided by Philadelphia’s Yards Brewing Company and their Ales of the Revolution series; food will be provided by Haddonfield’s British Chip Shop. Ticket are available in advance at the Haddonfield Information Center, 2 Kings Court, (856) 216-7253. 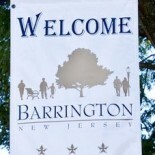 This entry was posted on May 3, 2012 by Barrington Bulletin in Uncategorized.